5-Second Sports Car for Less than $30.000! Hyundai Genesis Coupe! - Muscle Cars Zone! 5-Second Sports Car for Less than $30.000! Hyundai Genesis Coupe! 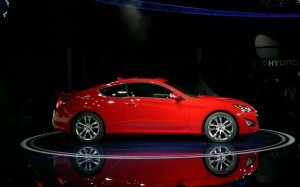 Genesis Coupe in the Top 10 Cars at Detroit Motor Show! 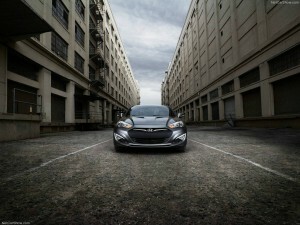 Hyundai have unveiled its updated well-known sporty model at 2012 Detroit Motor Show. 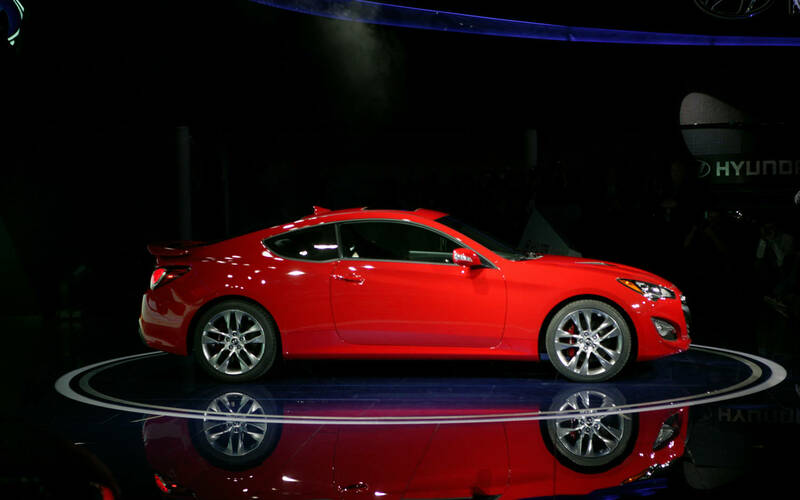 Hyundai Genesis Coupe has stood the automobile public by showing off its new style, features, new engines and great performance. The coupe has received an exterior and interior makeover. Brand new “Hyundai-Image” hexagonal front radiator grille, new design of the front and rear lights, new 17 and 18-inch alloy wheels, materials with better quality inside, newly designed interior elements and several new features. The new Genesis looks better and even bigger in live. 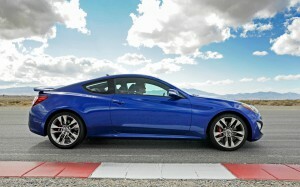 This Hyundai`s sporty coupe entered in the Top 10 Cars at Detroit Motor Show. Noisy 2.0 turbo or Silent 3.8 V6 GDi! The new coupe is even more sporty and sleek and low slung. It`s available with a new all-aluminum 2-liter engine with 274 horse power (+64hp from the previous model) joined by twin scroll turbocharger with 53% larger intercooler. 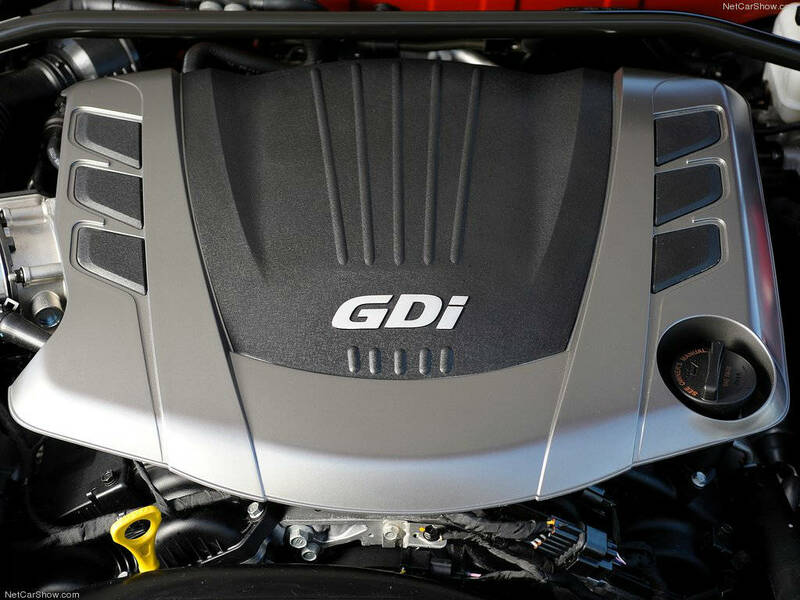 The torque of this engine is 265 lb-ft (+52 lb-ft) and its consists variable valve timing, maximum torque arrives at 2000 rpm and minimum turbo lag is enough to pull hard the car out of corners. New integrated exhaust manifold and turbo housing dissipates the heat more efficiently, as a result there is beautiful music to the ears outside of the car. The other choice is 3.8 V6 GDi engine with strong and silent character. With its 348 hp this direct injected V6 is slightly above the direct competitors in the class like Infinity G37 with 330 hp and BMW 335i with 300 hp. 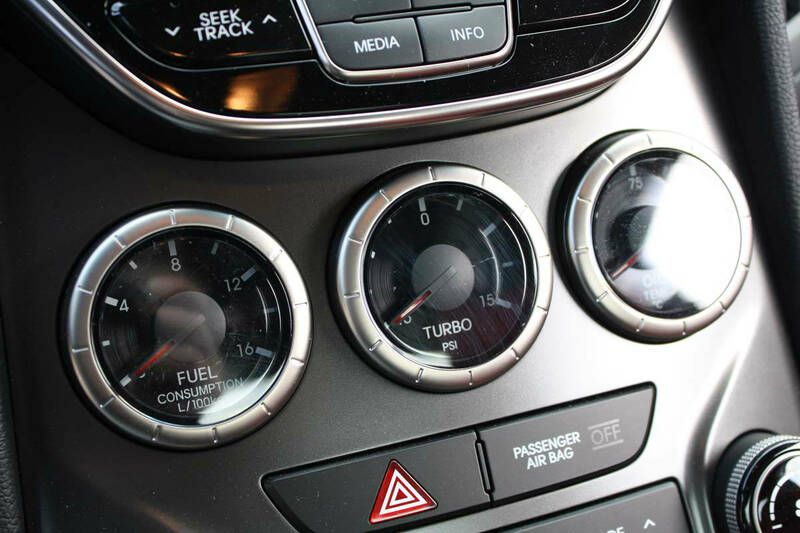 Genesis V6 is smooth and steady with peak of torque that arrives at 5300 rpm and it is very strong in any gear from 2000 rpm. Tops speed of 2.0T is limited to 146 mph and to 149 for the 3.8 V6 engine. The First Octo-Cog (8-speed) Transmission in the Class! There are no transmission options only for manual and automatic. The both engines 2.0T and 3.8 V6 are coming with the regular six-speed manual, except you need something from the the latest Hyundai technology. Eight-speed automatic transmission is available for 2.0T Premium and 3.8 V6 Grand Touring packages. This is the first octo-cog transmission in the class! 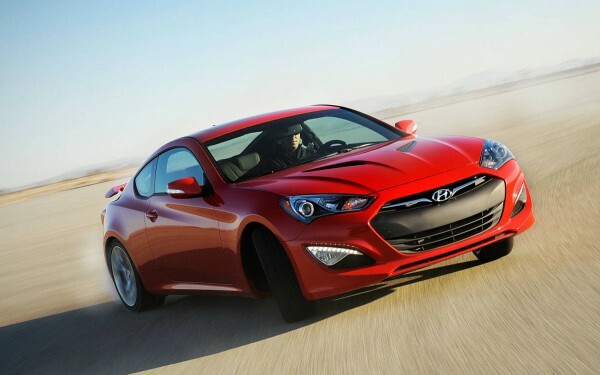 However some of the Genesis Coupe fans think that this Hyundai is a better car with the manual transmission. Hyundai Genesis Coupe in the 5-Second Club! 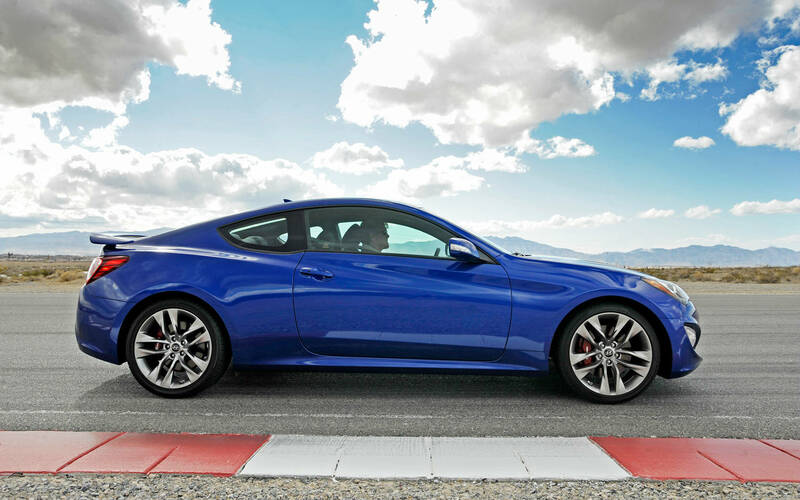 2.0T Genesis Coupe could beat its competitors in a drag race, the result of 5.7 seconds to 60 mph or 14.2 seconds to 98.4 mph in the quarter mile. 3.8 V6 goes to 60 mph in 5.3 seconds (5.0 seconds with one foot of rollout like on the drag strip) and 13.6 seconds at 104.1 mph. 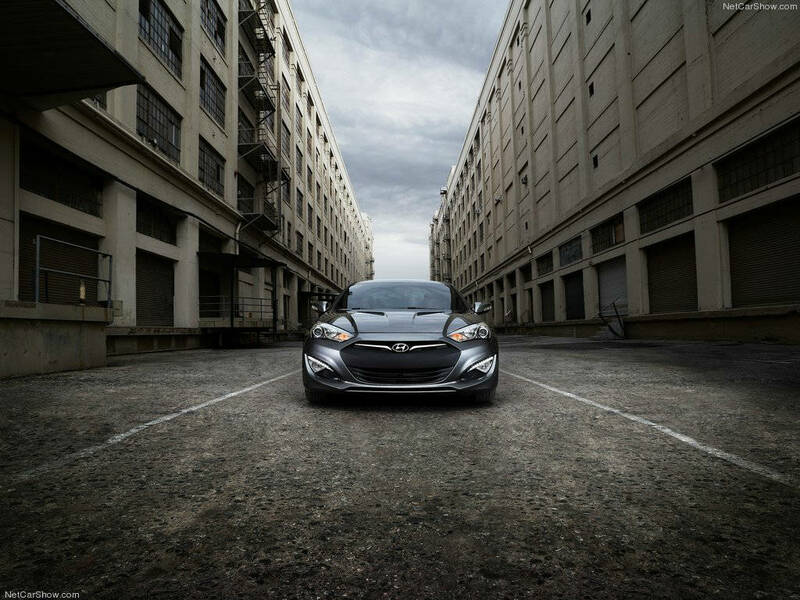 With this car Hyundai officially enters to the “5-Second Club” for the first time. Handling in the corners of this sporty coupe is incredible at the limit balance and shows impressive driftability if it`s needed. 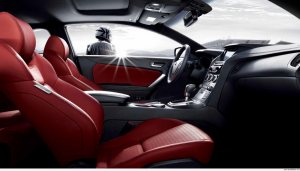 Its low mass improves its performance in every way and the sporty driver focused interior provides incredible feeling and great sense of connection. Interior Full of New Features! The steering wheel is very progressive, predictable, engine speed sensitive and it is 7% quicker than the outgoing model. In the corners you can be very confident, you can have precise control in the traffic and on the highways it is very tight. Interior is updated with soft-touch dash pad and center gauge cluster with displays for mpg, oil temperature, available torque for 3.8 or boost pressure for 2.0T models and standard front sport seats. In the both models there is integrated Bluetooth as standard, Blue Link Telematics System is only for 2.0T Premium and 3.8 Grand Touring trim levels, 7-inch navigation system as well as Infinity sound system with satellite radio it`s an option. Hyundai Genesis Coupe 2.0T starts at $24.250 and 3.8 V6 starts at $28.750 in the U.S.! Read my next article: Hyundai Santa Fe Safer than Mercedes-Benz M-Class and Range Rover! 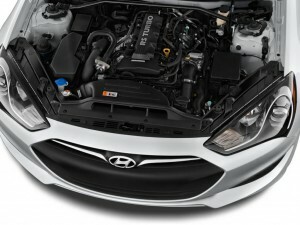 Read my previous article: `Fluidic Sculpture` – Hyundai`s Design Philosophy is Inspired by NATURE!